…For a much needed update that is! Yep, I just wanted to pop in and let all my Lovlies know what I’ve been up to and to simultaneously answer the big questions of “Have you even made anything new since Pengula, in 2010?” and/or “Amanda, when are your new creations going to be released to the public?”. So before I go too far, I will just take a minute to answer those questions now. Yes, I have made a couple of new things since Pengula, but most certainly not as many as I would have liked, nor even remotely close to how many are still rattling about inside my head (I bought an Idea Log from Chapters – I’ll post a picture of it later – that I fill with my ideas/designs), that are threatening to stage a mutiny, if I don’t release them soon – they’ve been extraordinarily patient – some have been waiting since 2007, when I first began fiddling with clay, to be created. I know, I’m awful. As for the question of “when will they be released?”, the answer is – hopefully within the next month, or so. It’s hard for me to give a more definitive answer since my Little Miss’s sleep bits have been a bit wobbly lately – her sleep times being my main work time. Finally, before moving on to other bits, below are the photos of my newest creations, the Penglets, Rinn & Molly! 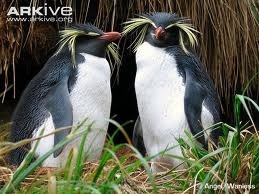 The term “Penglets” actually came from my husband (he’s even the one who came up with “Penguin Kisses”! 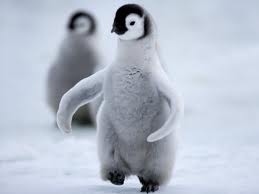 He’s fantastic with titles and whatnot ;)), who to make me smile one day, asked me if baby penguins were called “penglets”. 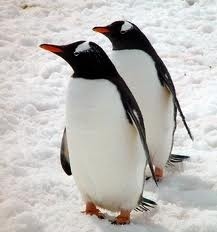 Once he said it I knew immediately that that would be the name of my PenGuin Kisses line! 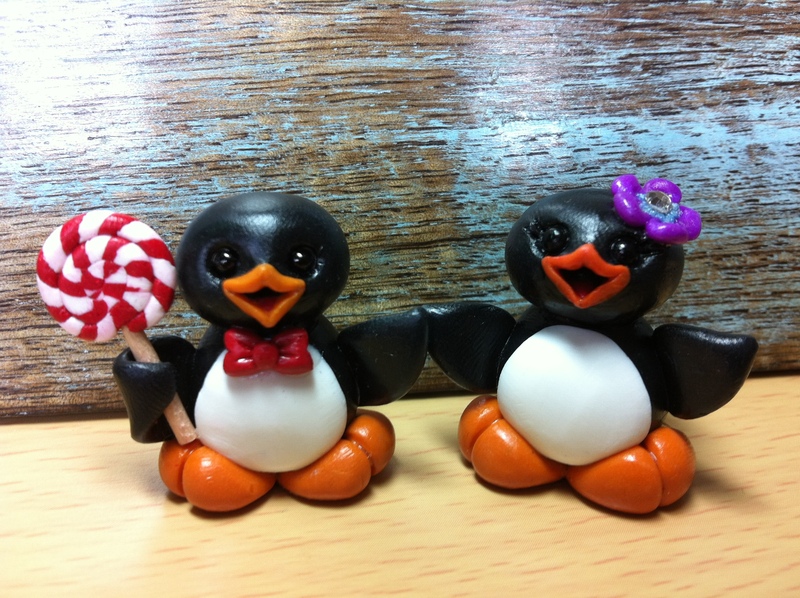 Rinn was the first Penglet to be created and his name was derived from the client that inspired him, Marinda. Marinda had asked me if I ever tried to make Guin with a yellow, or orangey-yellow beak and feet, which while playing around, trying to come up with a suitable color, just in case she formally requested it, it somehow turned into Rinn. Yep, sometimes that’s all it takes and it wouldn’t have happened had she never asked me such a simple question, so I wanted to honor her by naming the Penglet, Rinn. I know, I know, Marinda’s a girl and Rinn turned out to be a boy, but that’s just how it goes sometimes. “Rinn” just didn’t work when I looked down at Molly, after creating her. Speaking of Molly, (who is actually the first female anything that I’ve ever created), there was no grand reasoning for deciding her name, other than I have simply always loved the name “Molly” and it always makes me think of something adorable – usually a little, cherub-faced girl, with ringlets up high in pigtails (not too many things cuter than that ;)). So there. I think that covers everything in the creation area. 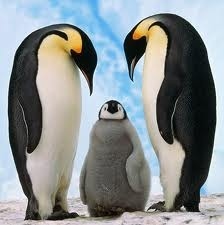 Oh, except I would like to mention, Guin will never be created with a different colored beak, or feet. The clay won’t let me ;p I tried, but it just didn’t work. Alright, so without further adieu, here’s the prototypes of Rinn & Molly (I was playing around with the beak colors, so pay no mind to that bit). Just a quick note, now that you all have finally seen them (though I did actually post pictures of them on my Facebook Page, when I first created them, but this is the first time on Mompreneurial Musings, so this may be all old news to some), I just wanted to let you all know that in the future, I will be releasing birthstone editions! 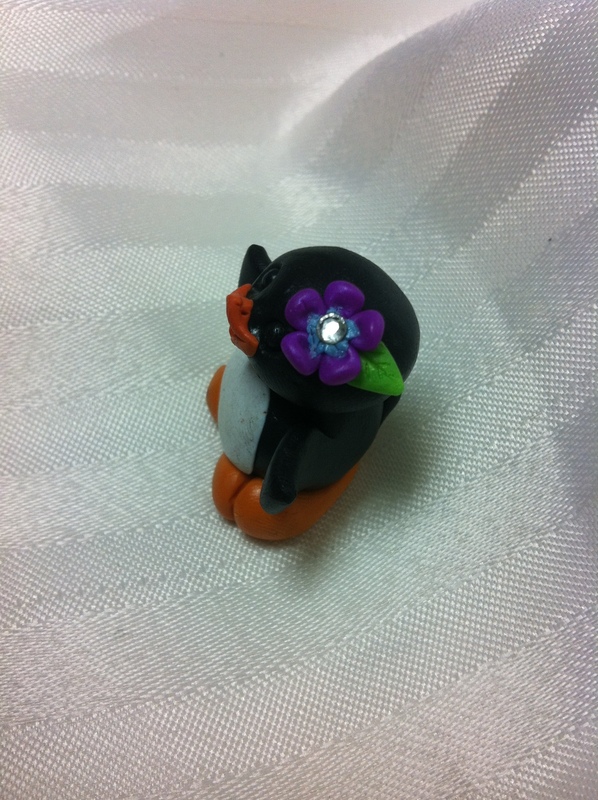 After that, depending on how well me and flowers work out, I will release another birthstone edition that will have the Penglets holding the birth month’s flower! This is just a tiny speck in the sea of ideas that I have for Rinn & Molly, so stay tuned! These days I think that I may have too many ideas to be created for one life-time ;p Bah! I almost forgot (wow, what a shocker *rolls eyes with a smirk*), Rinn & Molly are half the size of Guin, so they are just a little over an inch tall! Well, I’m sorry to say, but this ran a lot longer than anticipated, so I think I will leave the rest of the update for later. I hope you have a Guintastic night/day, my Lovlies ;)!